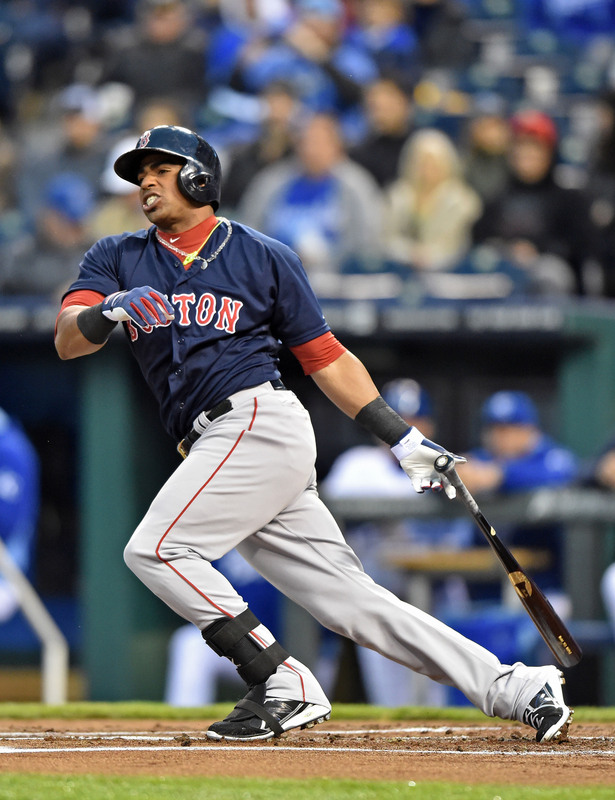 The Tigers and Red Sox have officially agreed to a deal that will send outfielder Yoenis Cespedes to Detroit in return for starter Rick Porcello, as C.J. Nitkowski of FOX Sports and MLB Network first reported on Twitter. Righty Alex Wilson and lefty Gabe Speier are also heading to Detroit, as WEEI.com’s Alex Speier reported (Twitter links). In moving Porcello, who is arb-eligible a final time before reaching free agency (at a projected $12.2MM salary), the Tigers have made yet another stunning move involving the club’s high-powered rotation. He joins Doug Fister and Drew Smyly as former Detroit starters. The latter, of course, was part of the deal that brought David Price to Motown. Needless to say, Cespedes will add to an already-formidable middle of the order, while also filling an uncertain spot in the outfield. For Boston, meanwhile, this swap closes a loop on last summer’s Jon Lester trade, which brought in Cespedes. The club added several other outfield pieces to a crowded situation, which made another deal of some kind seem inevitable. Bringing back an arm of Porcello’s quality would certainly be a nice consolation prize for missing out on a chance to bring back Lester. Cespedes is owed $10.5MM before he reaches the open market after the year, and will not be capable of receiving a qualifying offer due to a clause in his deal. Lest anyone think that this trade settles things for these two organizations, preliminary reports, and common sense, suggest that both are angling for more additions to their staffs. For Detroit, the rotation now looks to be one arm shy, with ace Max Scherzer still available but the team insisting it is not maneuvering to add him. And for Boston, the addition of Porcello still leaves the team without the ace that it is said to be seeking. With generally equivalent contractual situations between the two players — Porcello will cost slightly more, but comes with the possibility of a qualifying offer — this deal is a fairly straightforward talent swap. Porcello, who is still not quite 26 years of age, had a breakout 2014 after years of promise. His 3.43 ERA was backed by his peripherals, even though his strikeout rate dropped, and ERA estimators have liked his work for some time. Porcello continues to induce grounders at about a 50% clip, and also went over 200 innings for the first time in his career. All said, he is a steady three-win arm that any rotation would be glad to have. Cespedes, on the other hand, is himself only 29 and features plenty of power in his right-handed bat. Despite playing in Oakland for most of the last three seasons, Cespedes has hit more than twenty long balls in each campaign. But his ability to reach base has not been so consistent, and his overall production levels have fallen off since a huge rookie campaign back in 2011. On the other hand, defensive metrics are now more favorably inclined toward his work in left, leaving him — like Porcello — as an approximately three-win player. Ken Rosenthal of FOX Sports tweeted that the deal was finalized. Jon Morosi of FOX Sports reported early aspects of the swap (via Twitter).